CJAM (which is governed by the Student Media/university of Windsor Corporation) was founded in 1977. Before that it was CSRW (Canada Student Radio Windsor); a carrier current AM station. In November of 1983, CJAM became a low power FM station located at 91.5 on the FM dial, and 91.9 FM on Trillium Cable. From 1983 through 1996 CJAM broadcast at 50 watts. 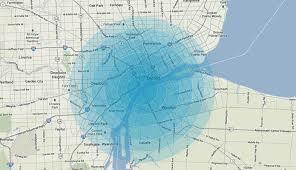 CJAM could be heard west and downtown Windsor and metro Detroit; other parts of Windsor, Lasalle, Riverside, and Detroit suburbs were reached to varying degrees of clarity. In 1996 CJAM increased power to 500 watts, allowing us to be heard clearly in most sections of Windsor and surrounding areas. In March of 2009, the CRTC approved the application for CJAM to move to a new frequency at 99.1 FM and granted us “protected status” at our new home. In 2014 CJAM was successful in quadroupling its broadcasting power after a successful power increase application through the CRTC. CJAM now broadcasts at 2,084 watts. For a perspective on CJAM’s early years on FM see, CJAM’s IRREVERENT HISTORY, by Mark Fedak. 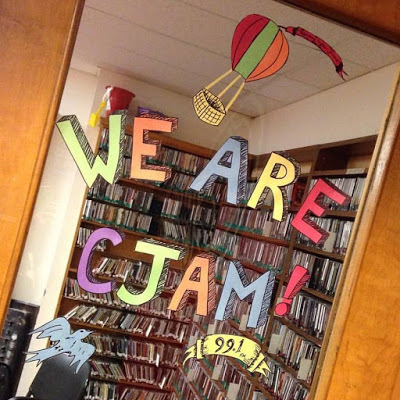 CJAM is a nonprofit campus-based community radio station. We provide music and information programming not offered by mainstream commercial media in the Windsor/Detroit area. We serve people and groups within the community who are under represented or maligned by mainstream media by allowing a forum to express their views. CJAM is located in the basement of the CAW Student Centre at the University of Windsor in Windsor, Ontario. Unlike CJAM’s previous antenna at 91.5 FM, CJAM is no longer required to have a directional antenna. This allows broadcasting in a full omnidirectional pattern. We cover events and post photos of them on the instagram.